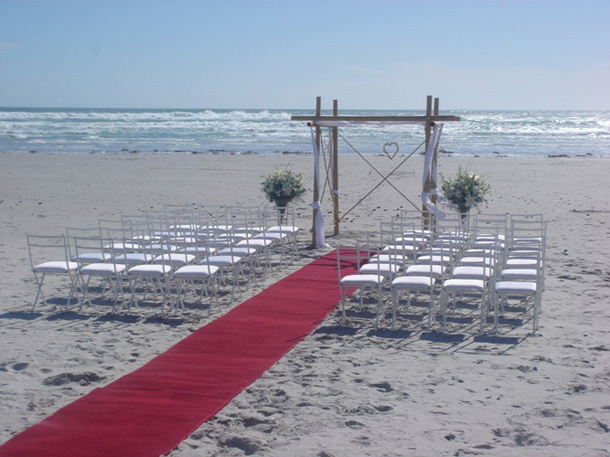 A unique and romantic dream wedding and function venue right on the beach in Melkbosstrand. Let our knowledgeable staff help you plan your dream wedding or host an unforgettable function. Options include beach or garden ceremonies with wonderful outdoor reception on the wind-protected lawn bordering the beach. We are able to cater for all needs, wishes and dreams and prefer to tailor make your wedding accordingly. The venue can accommodate up to 90 guests and the guest house sleeps up to 16. Group booking discounts do apply. Children are welcome. Ministers for the ceremony can also be recommended and arranged. The stunning Honeymoon-Suite with private Jacuzzi, fireplace and steam bath means you don’t even have to leave the venue after. Special Honeymoon rates apply. The venue is only 28km from Cape Town’s city centre and 45min from the airport. Airport transfers or shuttle services for small or large groups can also be arranged. Please contact us for further information on venue rates and packages or if you would like to arrange a viewing. 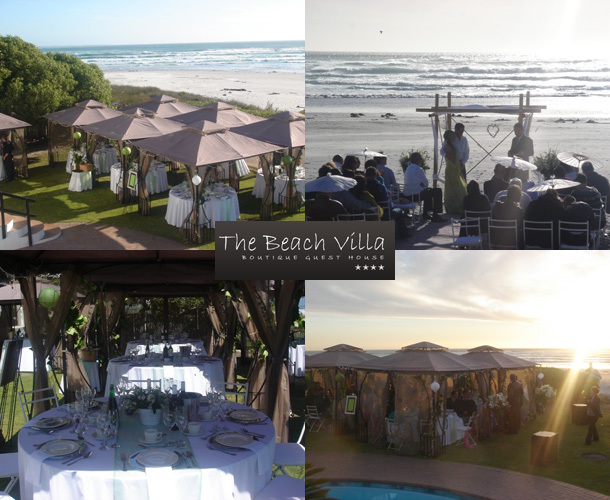 To book your wedding at this gorgeous venue telephone Walter & Laura Meinberger on +27 (0)21 553-1296 or alternatively see more information at Beach Villa Guest House to send an enquiry.